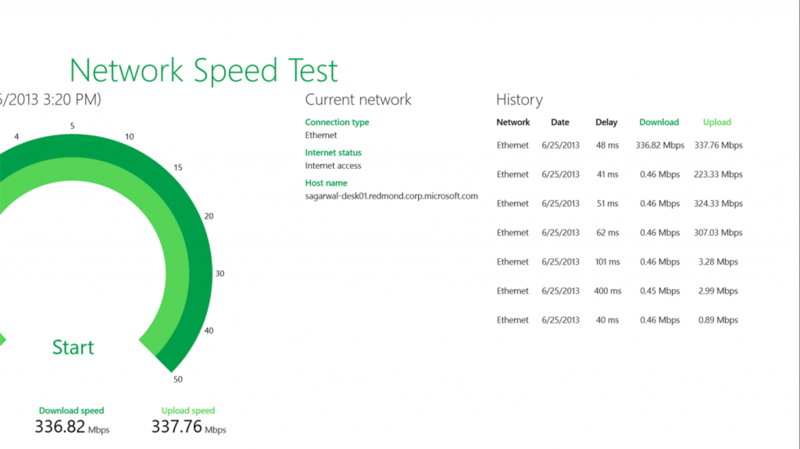 Test the speed of internet on your laptop"
This application is designed for computer users who will like to detect the connection speed of a network. 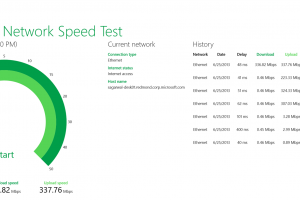 Although recent Windows operating system gives a rough idea of the activities taking place on your network interfaces through the Ethernet section in the Performance tab of the Task Manager, it does not provide precise details regarding the speed of connectivity. During the scan the program uploads and downloads random packets and uses the value to detect the upload and download speed of your network interface. The program scans your computer to detect your network interfaces and presents you will find a list of tasks that you can perform on each interface. Tasks include identifying the latency of a network, checking the data upload and download speed of a network interface, among others. The application opens in a full-screen window do you will have to switch between apps if you are multi-tasking. This program is essential for system users to compare the speed of different service providers so they can choose the best service. Network Speed Test is licensed as freeware for PC or laptop with Windows 32 bit and 64 bit operating system. It is in bandwidth category and is available to all software users as a free download.